Are you a fan of essential oils? I have a few favorite oils around my house and have been slowly starting a good stash. However, until now, they have just been lying around in different drawers, on the counter, in the cupboard and never where I want them to be when I need them! 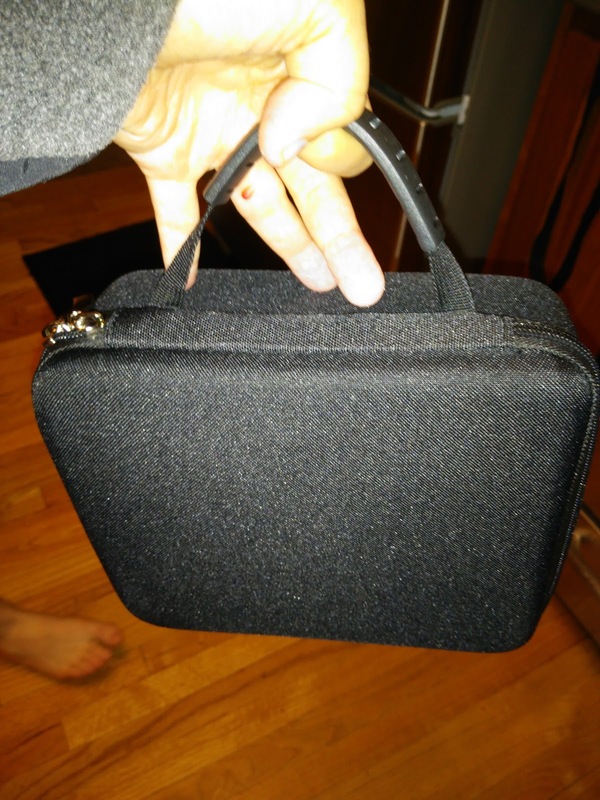 And now every time I need one of my oils, I am so glad I have my case from Soothing Terra! 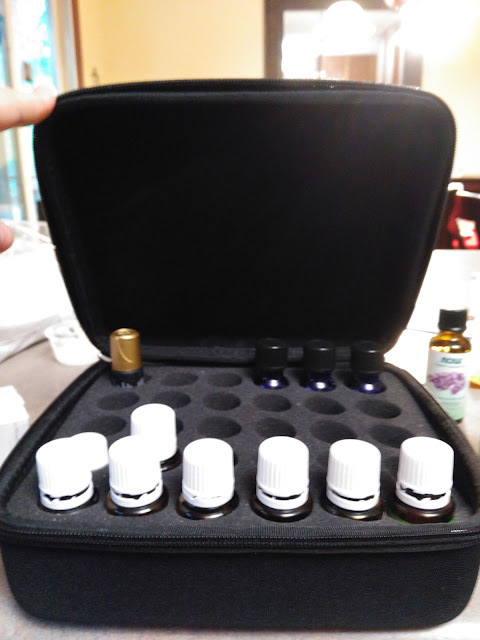 It keeps my oils organized, safe and all in one spot so I know where they are at all times! Plus, it makes traveling with them so easy too! Soothing Terra was created to bring you the best essential oil accessories to help you keep your favorite oils safe from everyday surroundings. The Essential Oils Carrying Case - Hard Shell that I received from Soothing Terra holds (30) 5 ml or 10 ml Vials and now I can take this shockproof and waterproof essential oils carrying case with me wherever you go! This essential oil case includes a durable outer shell, handle and foam insert to make sure you essential oil investment is organized and safe. The case holds up to 30 vials (5 ml, 10 ml, or 15 ml). Carry your doTerra, Young Living or other popular essential oils in style with this case. Soothing Terra produces nothing but the highest quality essential oil accessories and offers a 100% money back guarantee on their products. 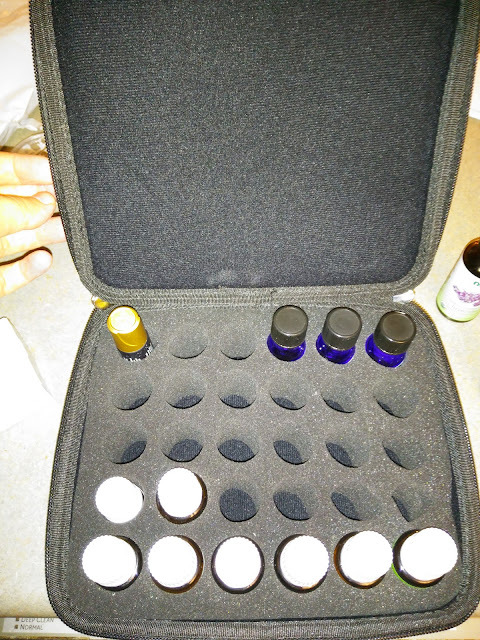 Every time I open up this case and see all my oils in one place, I am so thankful for Soothing Terra! It is made really well, protects my expensive oils and organizes them! Now if only I could organize my whole kitchen like I have organized my essential oils...thanks to Soothing Terra! You can purchase all Soothing Terra essential oil cases from their online shop. Soothing Terra is generously offering (1) case and a keychain to a lucky winner!